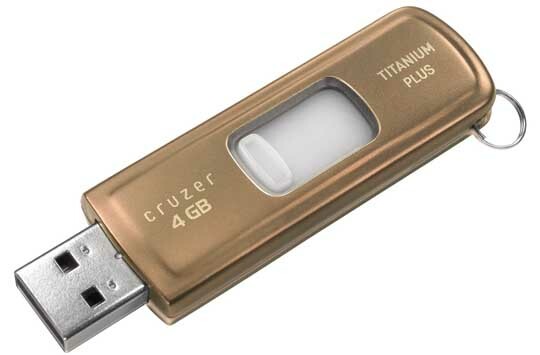 Remember the the SanDisk Cruzer Titanium, that sweet, if not dated, little flash drive that’s made from—wait for it—titanium? Well it’s back and now it’s colored gold and has a plus behind it’s name. While those two revisions are indeed massive, it also carries with it a significant update to SanDisk’s line of flash devices. The Titanium Plus includes with it a six month membership with BeInSync, an Online backup service that automatically mirrors data stored on the drive. What’s more, the 4GB drive is priced at $59.99, which is rather agreeable. And following the six month grace period with BeInSync, users will be charged $30 for one year of service.